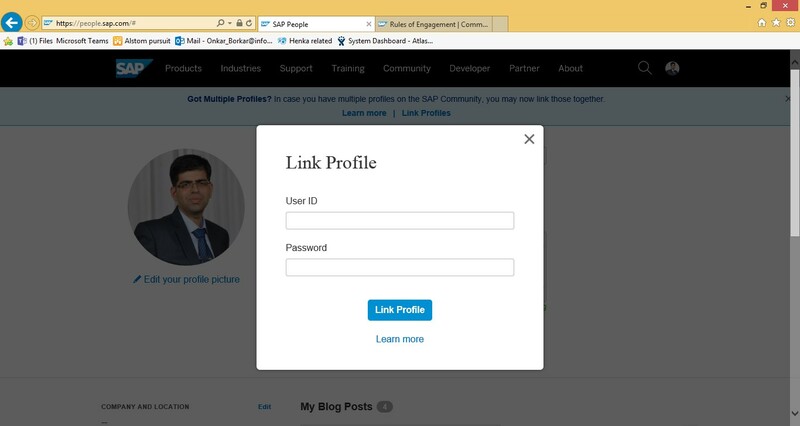 Summary: This blog talks about a new feature in SAP community network where-in we can link multiple profiles, if they belong to the same person. 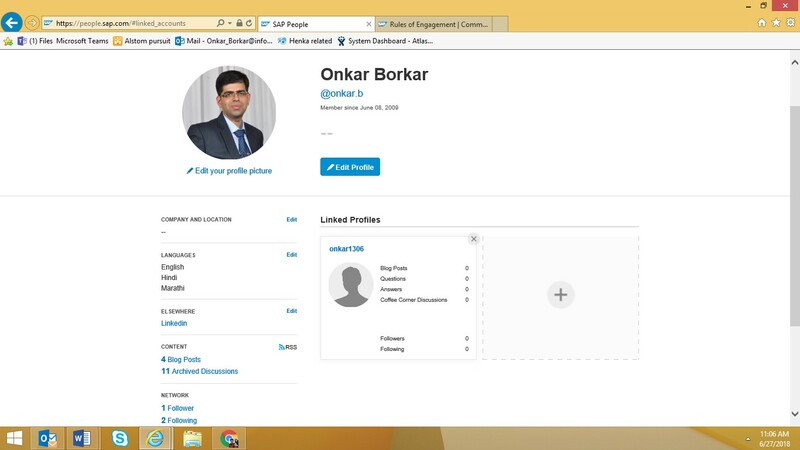 Many SAP consultants/SAP bloggers may have multiple IDs which they may have created at different point of times (e.g. one P ID and one S ID). However the SAP community network (erstwhile SDN) did not have the facility to link multiple user IDs of the same person. 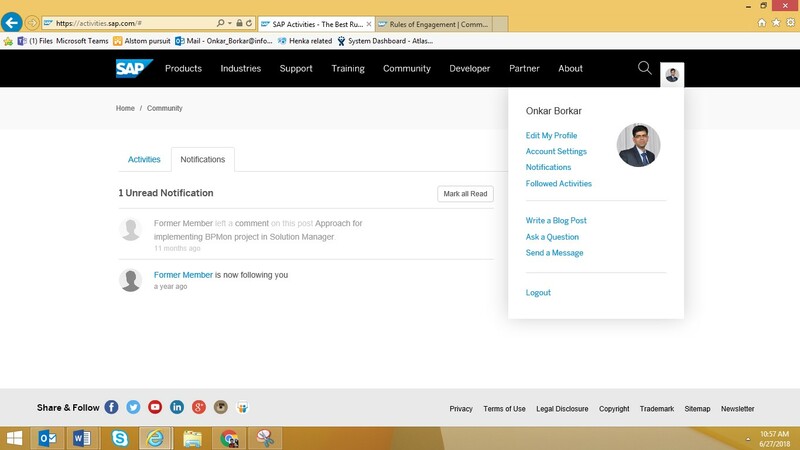 You will see that the linked profile is now linked to your current profile. That’s not so new anymore…but maybe the explanation helps to make more people link their profiles! I was going to comment like “yeah, but it’s not that new, see this blog[link]”, but actually it wasn’t that easy finding what I looked for. (Notice how it doesn’t contain the word “profile” or “link” in the title, that’s why I didn’t find it in my RSS-client (I didn’t bother with searching on the platform)). whenever you visit your profile. So: thanks for sharing, Onkar and for bringing this feature to attention again! Without encouragement to offend anyone … with what purpose is it intended for users to inform their other profiles? In my case, I never knew that with my email (here on SAP.com) had generated 3 different profiles, until one day I was asked to reset the password and it was like three days trying, sending emails to support, testing and testing, etc. until finally I could enter and understand how the SAP user accounts worked. I think it’s wrong how it works, but I have not seen SAP take charge in the matter, it still works badly, they have I do not know how many types of accounts, and I think it’s all a jam. But hey, some of us are still here. Do you know how I can do a snapshot from one old profile into a newest?